When it comes to security and privacy threats over social networks, no platform gets as much negativity as Facebook. While some of the concerns that people have about Facebook privacy are justified, some of them are not. In fact, many of the so called lax privacy concerns are just as prevalent on social networks such as Twitter as well. However, for some reason Twitter does not get classified into the same bracket as Facebook. One reason for this is that when there are security or privacy concerns, Twitter is extremely quick to respond. Moreover, Twitter does not constantly keep chopping and changing security features with commercial goals in mind. This has usually kept Twitter away from privacy mobs. Nonetheless, this does not mean that Twitter is not vulnerable to data leakage, privacy threats, social engineering and other security concerns. Twitter also functions on ad revenue so there are ways the company monetizes its user data. With that in mind, here are some common Twitter security tips that all Twitter users should be aware about. 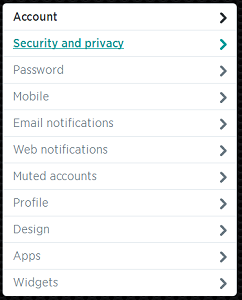 In order to locate the security settings options on Twitter, you need to click on the gear icon in the top-right corner once you log into your Twitter account. Once this is done, you need to click on Settings. Once this is done, you need to click on Security and Privacy in the column of options on the left side of the page. 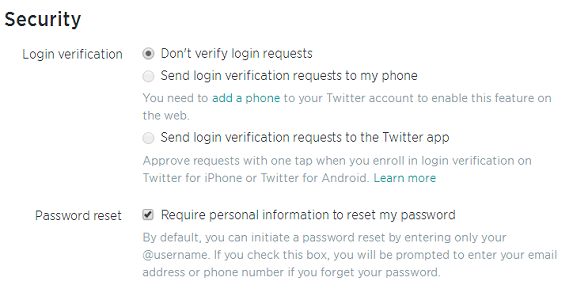 This will now open up the various options that you can alter for the security of your Twitter account. Login Verification – This feature allows you to enable two-factor authentication when you or someone else accesses your account. This request can be sent directly to your phone, or to the official Twitter app installed on your smartphone. For this to work, you will need to ‘add a phone’ to your Twitter account from the same section. Password Reset – This option is useful if you want to make your password resets more secure. If this option is selected, you will need to give your email address or phone number when you request a password reset. It is recommended that you keep both these options checked for the best Twitter security. Photo Tagging – Here you can decide who is permitted to tag you in photos. This can be set to anyone, people you follow or nobody. 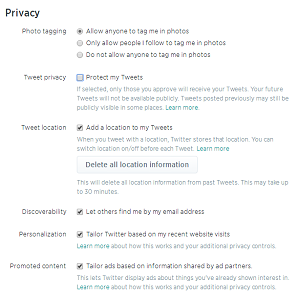 Tweet Privacy – With this option you can make your tweets non-public. Only people that you approve will be able to view your tweets. Tweet Location – You can choose to enable or disable location information before every tweet you send out, via this option. Discoverability – This option allows you to be searchable / non-searchable on Twitter via your email address. Personalization – You can also enable your Twitter to be based on your website visits and preferences. Promoted Content – If this option is selected, Twitter will show you ads only about things that you have shown interest in. With the help of these Twitter settings, we hope that you can make your online experience safe and secure. 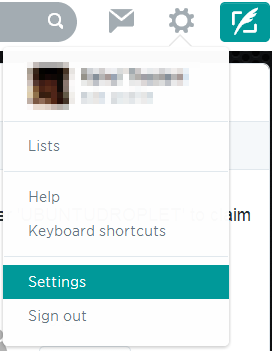 The settings in Twitter are not as in-depth as Facebook’s, and this makes it easier and more reliable as well. Users who spend a lot of time online should also consider using a product such as Quick Heal Total Security. Features such as Web Security and Browser Sandbox will help ensure complete protection against security threats on Twitter and other social networking sites. For more security tips such as these, follow us on Twitter. Stay tuned! Our Quickheal has not been updated due three days computer is switch off. We apologize for the inconvenience caused. One potential reason for this could be an interrupted web session. Usually, the databases take a few minutes to update so the issue here could be related the web speed or connection. Can we recommend that you contact our support center on 0-927-22-33-000 or submit a ticket by visiting this link – http://www.quickheal.co.in/submitticket. Our support team will help you resolve this immediately. These informations/news are quite useful. Thanks a lot for this info it really help. Can you elaborate a bit more on the problem that you are facing? For your serial number, we recommend that you contact our support center on 0-927-22-33-000. Or submit a ticket by visiting this link – http://www.quickheal.co.in/submitticket. i have been experiencing difficulty in upgrading Total quick heal antivirus. Thanks. To resolve this issue, we recommend that you contact our support center for assistance. They can be reached on 0-927-22-33-000 or you can also submit a ticket by visiting this link and have them contact you – http://www.quickheal.co.in/submitticket. Descriptive and may be useful. i have learnt a good deal of new things. Quick heal total security for android features are good.but one more feature that is anti-evasdropping if added then it would be better.so in future plz keep it in mind. Thank you for using our products. Thank you for the feedback too. ” The update defination file is currupt. Aborting the update process”. There could be various reasons behind this. Kindly contact our support team at 0-927-22-33-000. 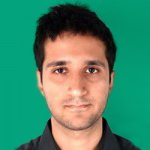 You can also submit a query at http://www.quickheal.com/submitticket.asp. Our support team will get back to you to resolve the issue you are facing. i cant install dropbox in my pc.i have downloaded the dropbox installer.exe but when i click on it it does not run the installer. is due to some security feature of quick heal which doesnt allow the .exe file to run. Do you see some message from Quick Heal when the installer has been clicked on but does not run? If not, then I don’t believe this issue is being caused by Quick Heal. You should try downloading the installer again and try running it. Let us know if it is still not working and we will come up with another solution.